How do I use my institution's Catalog? Catalog courses and programs are easily searchable. You can use the Search field on the home page, or just browse the catalog listings. Note: The steps for searching and viewing a course or program listing are the same regardless of catalog design. 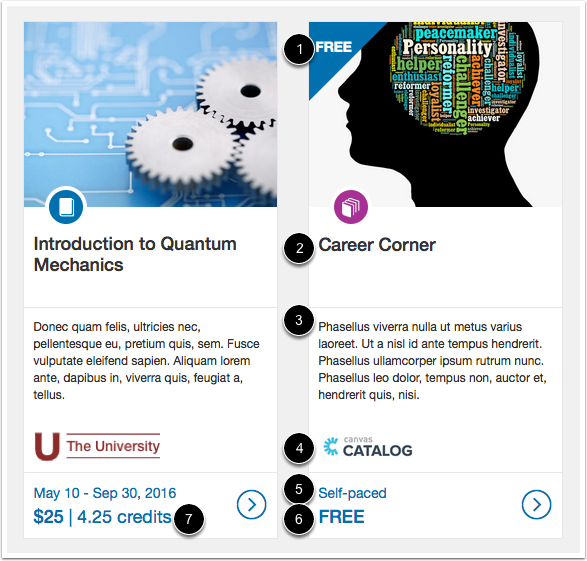 Your catalog view may be customized for your institution. In a browser window, type your institution's Catalog URL in the address bar. In the search bar, type the name of the course or program. If your institution's catalog has created categories, you can view the Categories link . To filter listings by category, click the name of a category . You can always refine your search by filter and sort options. Click the Refine link . In the filter options , you can filter by free or paid listings, open enrollment listings, and listings with certificates. More than one filter can be used at once. In the sort options , you can sort listings alphabetically or by start date. For paid listings, sorting is also available by the price in the listing—either from lowest to highest or highest to lowest. 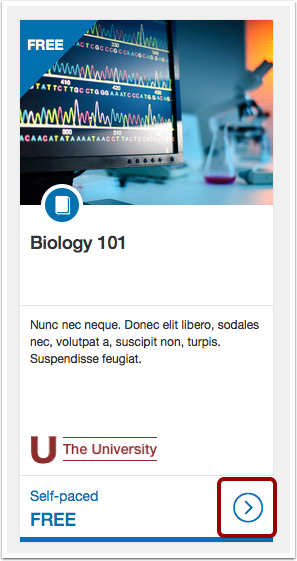 Each listing in the catalog includes an icon that shows if the listing is a course  or a program . Each listing includes an image , name , and short description . Most listings may include a logo , which can represent a listing for a specific department, organization, or team. You can also view the length of the listing . Some courses or programs may begin on a certain date, but some listings are only offered during a specific date range or include a time limit. Self-paced listings means there are no start or end dates. You can also view the cost of the listing  and any credits offered . Note: For programs, any credits shown are the cumulative of all courses included in the program. To view details of a listing, click the listing arrow icon. The listing details include the full course description, which contains more information about the listing. 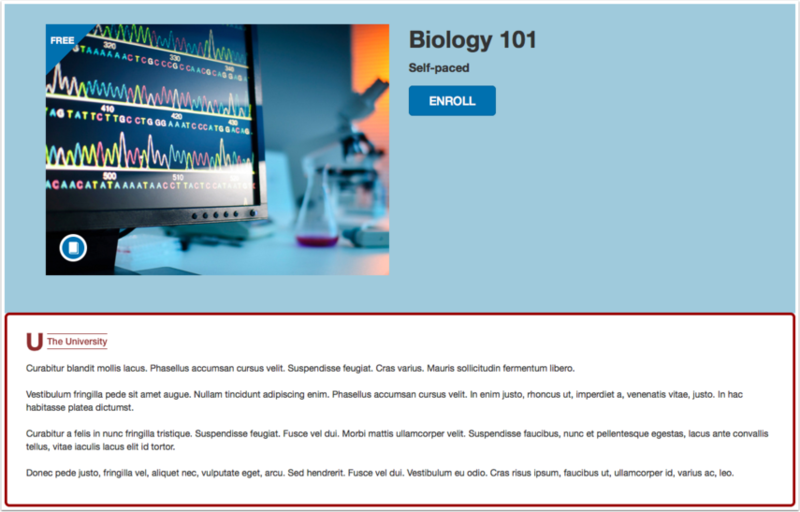 Sometimes a listing may display associated courses or programs below the Enroll button. If you view a program that has course requirements, the name of the courses appear on the listing page . 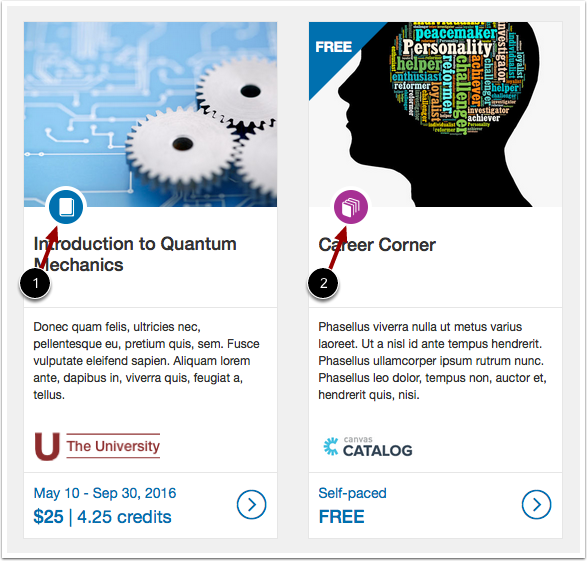 If a course listing is visible in the Catalog, the course name also includes a link to the course. 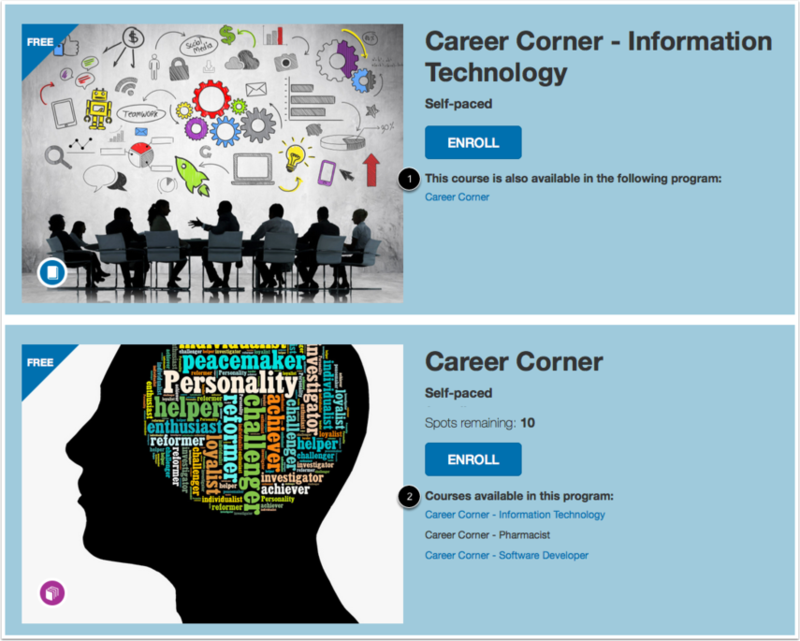 To enroll in a course or enroll in a program, click the Enroll button. Sometimes you may view a listing with a closed enrollment. If enabled by your administrator, the Catalog wait list will allow you to add your name to the listing and automatically enroll if a spot opens. You can remove yourself from the wait list at any time. Spots can become available if a student drops the program, or if an administrator increases the enrollment limit. Learn more about Catalog wait lists. Previous Topic:What is Canvas Catalog? Next Topic:How do I enroll in a Catalog course? Table of Contents > All Users > How do I use my institution's Catalog?